North Korean leader Kim Jong-un promises his country will suspend testing of ICBMs, nuclear weapons, and other missiles. 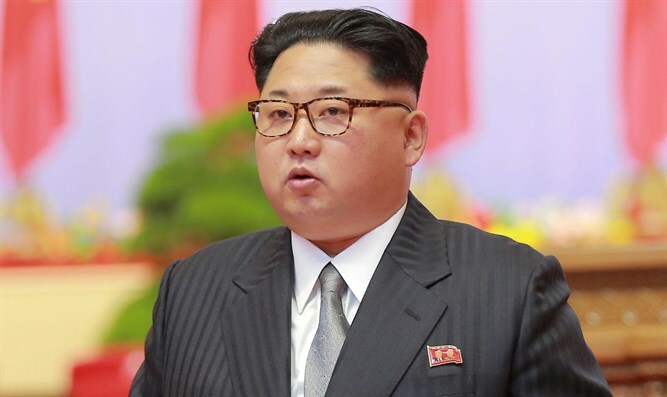 North Korean Supreme Leader Kim Jong-un on Friday announced that his country would suspend nuclear and missile tests, as well as intercontinental ballistic missile (ICBM) tests. He also promised to close the nuclear facility at Punggye-ri, where at least 200 died last year in a tunnel collapse. In a statement, Kim said North Korea has "reached the target stage, where the nation and people's safety is reliably secured." He also said the next stage is to build on denuclearization efforts, which represent "the peace-loving platform of our party." Speaking to his party, Kim said the situation had changed and North Korea no longer needs to conduct underground tests or test launches. Translating the Korean Central News Agency, NBC quoted Kim as saying that "no nuclear test and intermediate-range and inter-continental ballistic rocket test-fire are necessary for the DPRK now, given that the work for mounting nuclear warheads on ballistic rockets was finished." US President Donald Trump immediately praised Kim's decision, tweeting, "North Korea has agreed to suspend all Nuclear Tests and close up a major test site. This is very good news for North Korea and the World - big progress! Look forward to our Summit." South Korea as well welcomed Kim's announcement as "meaningful progress." However, Japanese Prime Minister Shinzo Abe stressed that he would "keep a close eye" on how Kim's announcement leads to "the complete, verifiable and irreversible dismantlement of nuclear arms, weapons of mass destruction and missiles." Meanwhile, German Foreign Minister Heiko Maas praised North Korea's promise to halt nuclear and missile tests, but said the country reveal its programs in order to enter into "a serious political process." Emphasizing that his demand is "in accordance with the expectations of the international community," Maas said that it was "necessary" for the disclosure of the nuclear and missile programs to be done completely and "in a verifiable way.